This library is free software; you can redistribute it and/or modify it under the terms of the GNU Lesser General Public License as published by the Free Software Foundation, version 2.1 of the License. The GNU Lesser General Public License or LGPL is written for software libraries in the first place. The LGPL has to be considered valid for this artwork library too. Nuvola icon theme for KDE 3.x is a special kind of software library, it is an artwork library, it's elements can be used in a Graphical User Interface, or GUI. 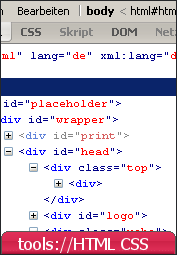 Source code, for this library means: - raster png image* . containing the elements. You may follow this practice. The exception in section 6 of the GNU Lesser General Public License covers the use of elements of this art library in a GUI. Icon theme for KDE 3.x. Icons where designed using Adobe Illustrator, and then exported to PNG format. Icons shadows and minor corrections were done using Adobe Photoshop. Kiconedit was used to correct some 16x16 and 22x22 icons. Look at the license.txt file.